Not too long ago we published an article on the way the Instant Messaging platform, WhatsApp, is being used by local medical professionals for added efficiency in the delivery of health services. It turns out it’s not just doctors and nurses that are cashing in on the social media/tech capital of WhatsApp. A local pharmacy has added, among other electronic options, WhatsApp as a new payment channel. 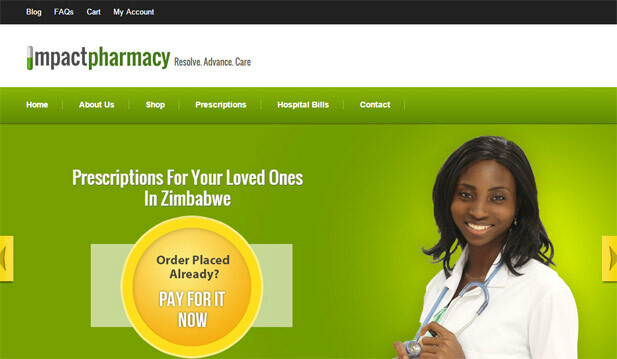 Impact Pharmacy, which operates in Harare, created an online payment platform for customers who have prescriptions for medicine but want the bill to be picked up by someone who isn’t immediately available to fork out the money. It’s a fairly simple process. Once the customer has ordered their prescription, they get a reference number that they send to the person paying for the drugs. This reference number is used for an online payment on the Impact Pharmacy website. As soon as the payment is made, there is a confirmation message and the patient gets the prescription. It’s the same process used for the payment of health bills, something that Impact Pharmacy is using its platform for as well. An added option for the bill payments function is sending a copy of the medical bill via the Impact Pharmacy WhatsApp number. It’s safe to conclude that Impact Pharmacy’s target market appears to be diasporans that would ordinarily have to send the money for such expenses through other money remittance channels. For both services, it doesn’t look like Impact Pharmacy was trying to reinvent the wheel with their online payment platform. The team there chose a very simple approach to cut out the middleman in the form of money remittance services and at the same time herald an online payment solution for medical services. This follows the same approach that services like ZimSelector and Zympay launched for insurance and ZESA prepaid power payments respectively. With other pharmacies not so aggressive on the online front, this could be a good point of difference for Impact Pharmacy. Only time will tell though. Even if it’s an online approach to the “drug trade”, the market response will be the best judge to how effective it will be.